Mark Herrmann and Associates, Inc.
RYAN COURT - SOLD OUT - THANK YOU! Built By The Renowned John Garis Homes, Inc.
SOLD OUT! 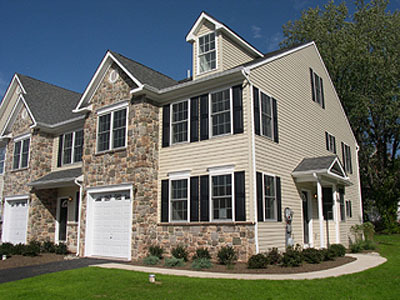 - Contact us about other Philadelphia region real estate. 2 Townhome Models to Choose From! To learn about this exciting new townhouse community, or to arrange an appointment to visit our sales models, please contact Mark Herrmann by calling 610-667-5036 or by filling out our inquiry form.